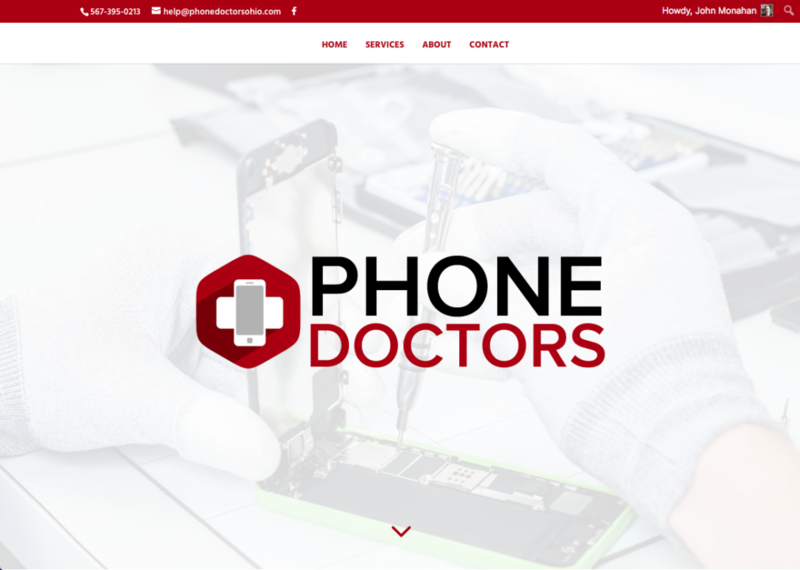 Phone Doctors is a fun little site I whipped up for another branch of my company. I started doing cell phone & iPad repair a while back and finally made a face for that end of the business. Was happy to get both the phonedoctorsohio.com and phonedoctors.net domains for the site! The design is a Divi child theme. With this build I decided to make my own default “pseudo-template” website that I can clone and make sites much more quickly. That is, it has all the relevant basic plugins installed and set up, ready to rock and roll. I can just export this site and put it on a test server and pretty much just start customizing the theme. Also used a free layout pack that’s included with the Divi theme. I got rid of a bunch of it, but it’s useful to help speed up the process and give you more ideas. It was also cool when building Phone Doctors in that it forced me to figure out more about my business. It meant that I had to write up a bit more about my services, prices and company in general.